-notes from NCF Church’s weekly staff meeting. By Grant Crawford compiled my Sabby Mahabeer. David flees Saul and seeks refuge in the land of the Philistines. Achish, the king of Gath, takes David and his six hundred men and wives and children in. David finds favour in the eyes of the king of Gath, becomes his confidant and something akin to Achish’s personal bodyguard. David and his men go on many raids, ultimately killing many of Israel’s worst enemies. The deaths of these enemies result in positive outcomes for both the Israelites, as well as the Philistines, because, while David brings the spoils of these raids to Achish, the Israelites have less enemies to fight off. There comes a time, though, that the king of Gath wants to go against Israel and expects David and his men to join him and fight against their own people. However, the Philistine army does not trust David and his men and convince the king to send them back to Ziklag. Upon their return, David and his men find their homes ransacked and their wives, children and possessions gone. The people remaining turn on David and want to stone him. He finds himself in a desperate situation. On the other side of the valley, in Israel, king Saul faces equally dire circumstances: the Philistines are knocking at his door and are out for blood shed. With Samuel dead, God not answering his prayers and Saul having expelled all mediums and spiritists from the land, the king of Israel finds himself alone with no one to turn to for advice. When he does finally lay hands on a medium and is presented with the information he requested, he can’t handle it and breaks down. Here we have two pictures of two men facing deep crises. And we see two ways of handling their dilemmas. “David was greatly distressed because the men were talking of stoning him; each one was bitter in spirit because of his sons and daughters. But David found strength in the Lord, his God.” 1 Samuel 30:6 (emphasis added). In 1 Samuel 28: 3-20, we read that Saul seeks out the help of a medium and asks the dead for counsel. God allowed Saul to continue ruling Israel, although He had anointed David as the new king. God allowed David’s inheritance to be delayed. God knows what is best for us, but He allows a delay. Doesn’t that seem similar to our lives? We trust God to come through for us, because we trust He knows what is best for us, and yet, there is a delay in the outworking of that particular situation we are expecting Him to come through for us. God has a habit of doing just that. God’s timing is not always our timing “For my thoughts are not your thoughts, neither are your ways my ways, declares the LORD” Isaiah 55:8 ESV. When we look at the situation David faced, we see that although he had to flee Saul, God granted him favour with the Philistines, who actually were enemies of all Israelites. When David and his men returned to Ziklag, they found their families taken by the Amalekites. Upon their God-ordained rescue, all their missing people and possessions were accounted for. Here, too, God had protected them in the midst of dire circumstances. God changed David’s battle plans (1 Samuel 29 “Achish sends David back to Ziklag”). The Bible doesn’t tell us how David would have handled fighting against the Israelites. 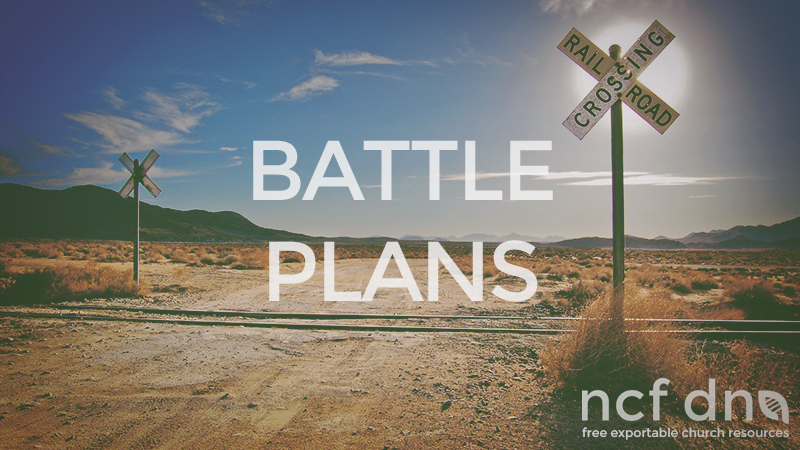 However, until God altered the original plans, it seems like David was going to face a very different kind of battle he ended up fighting. This year, we may face a situation where our plans are suddenly changed. Some of us might already have experienced it: We had a battle plan laid out and knew how 2015 was going to pan out. And then God suddenly reworked the plan. When God changes our original battle plan, we need to be humble enough to withdraw. Upon facing a new battle, David strengthens himself in the Lord ( 1 Samuel 30: 6) and inquires of Him. When God tells David to go after the Amalekites and take back what was stolen from him, David obeys and does as God says. Along the way, God provides David with a source of information to win the battle: David happens upon an abandonded Amalektie slave who partners up with David and helps them win the fight. God is generous and when we become more like Him, we, too, become generous. When David returns from the battle against the Amalekites, he does not keep the loot but gives it all away (1 Samuel 30: 26-30). “Now to him who is able to do immeasurably more than all we ask or imagine, according to his power that is at work within us, to him be glory in the church and in Christ Jesus throughout all generations, for ever and ever! Amen” Ephesians 3: 20-21. God is waiting to answer some big prayers that will ultimately bring Him glory. Looking at the differences between Saul and David, we see that all David needed was a word from God to turn the situation around. When he received that word from God, he completely expended himself on what His Lord had told him to do. In human terms, David did not seem to have a sensible and logical approach to whatever he was facing. He had no strategy, no well-thought out plan, no detailed information on the enemies he was about to face. All he had was a word from God which was enough for David to move forward. His obedience led him to a joyful victory. God wants to take us on a wild journey of faith. Part of this journey is to experience that God not only sustains but lavishly pours out his blessings on us.